Thomas Meeting Apartments near Downingtown, PA are situated in a central location near everything you need. Set on 47 rolling acres in Exton, our Chester County apartments offer a variety of spacious one, two, and three bedroom floor plans featuring upgraded amenities like wood plank flooring, full-size washers and dryers, and custom trim. Just minutes off major thoroughfares like routes 30 and 202, our rental community is convenient to several of the area’s best cities and towns including Downingtown. Situated just 10 minutes from Thomas Meeting Apartments, Downingtown is home to a slew of exciting shopping, dining, and entertainment opportunities. Incorporated in 1859, this borough has a rich history and culture. Downingtown features lots of historic buildings and structures including several listed on the National Register of Historic Places. Its historic downtown area has undergone recent renovations and continues to as owners and residents restore buildings to their original glory or construct new edifices. Downingtown is home to the nationally-known Victory Brewing. Founded in 1996 by Ron Barchet and Bill Covaleski, the brewery has continually expanded its operation and reach. You can visit the brewery, which also has a restaurant onsite, right in Downingtown. Since its founding, Victory has produced a variety of interesting brews and in 2016 allied with Southern Tier Brewing Company of Lakewood, NY to become part of the Artisanal Brewing Ventures holding company. Whether you’re in the mood for a cold brew or a hot burger, Victory Brewing is located just 10 minutes from our apartments near Downingtown, PA. 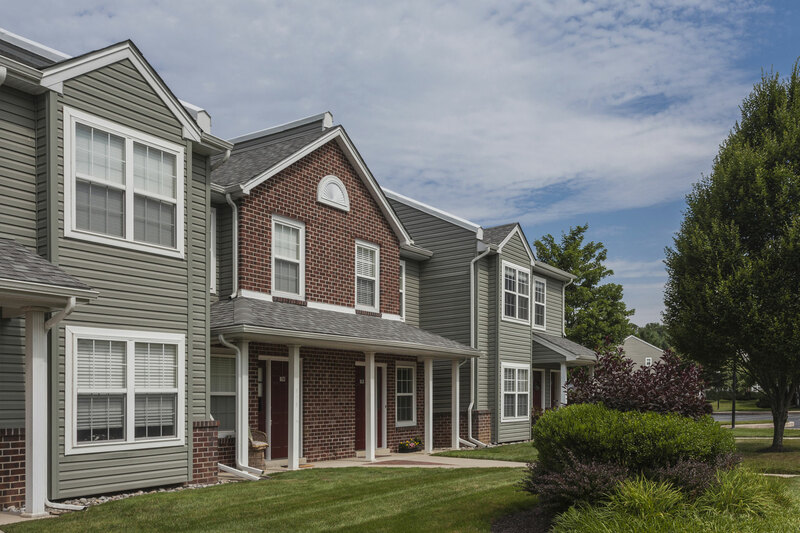 In addition to having quick access to popular Downingtown, our Exton apartments are situated right near local shopping like Walmart, Whiteland Towne Center, Target, and Fairfield Place Shopping Center. Contact us today to learn more about our apartments near Downingtown, PA and schedule a tour of Thomas Meeting Apartments!